Commemorating the 4th International Day of the Girl Child, hundreds of members of the Harley Owners Group® (H.O.G.) 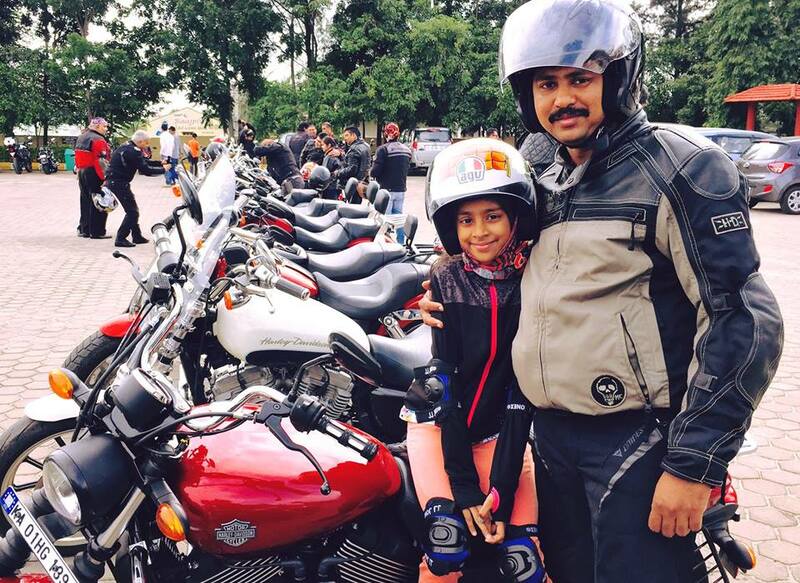 across the country rode with their daughters to participate in a special Father-Daughter Ride. The ride was held in partnership with The Bindi Project, a non-profit organization whose mission is to foster love and respect for women and girls in India. The purpose of the ride was to strengthen bonds between the fathers and daughters and spread the message of women empowerment and gender equality in the country. The ‘Father-Daughter Ride’ was started as an initiative last year, to inspire parents across the country to love and respect their daughters. Keeping the tradition alive, this year all 15 chapters across the country rode out from Harley-Davidson dealerships spread across 18 cities. Amongst other chapters, various activities were also organized at the dealerships of Seven Islands, Harley-Davidson (Mumbai) and Two-Rivers, Harley-Davidson (Pune) celebrated the special day. On this occasion, hundreds of Harley owners across the country also signed The Bindi Project Pledge to treat their daughters with love and respect and to provide them happy, healthy and fulfilling lives, free from all forms of violence.